Rendering of 2016 concert site at Carrie Furnaces. Photo: LUXE Creative. A happening like the Thrival Innovation + Music Festival wouldn’t be complete without an edgy after-party and you’re invited to mark the occasion. The Mattress Factory museum of contemporary art will provide an appropriately multi-sensory setting for capping off three days packed with innovation programming on the Northside at Nova Place, Alloy 26 and the New Hazlett Theater—and will also serve to kick-off an epic weekend of live music at the dramatic Carrie Furnaces site coming up on September 23 and 24. 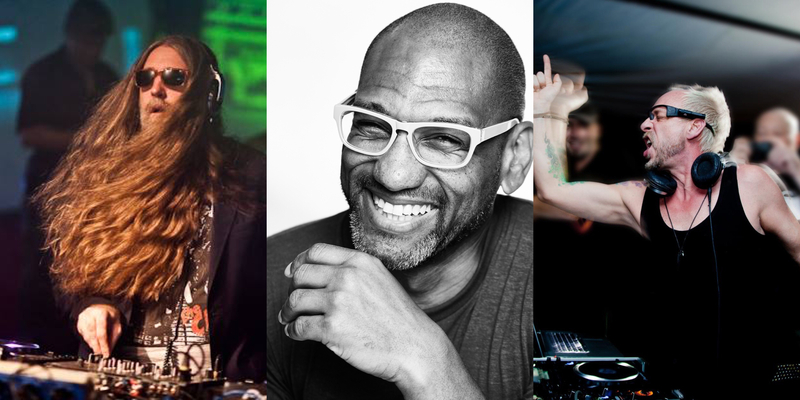 Tommie Sunshine, King Britt and Phil Hartnoll. Setting up shop at the Mexican War Streets-based museum, the culminating bash will feature live performances by international performers, including Philadelphia-based DJ and record producer King Britt, Chicago house music DJ Tommie Sunshine and Phil Hartnoll from the English electronic dance music duo, Orbital. 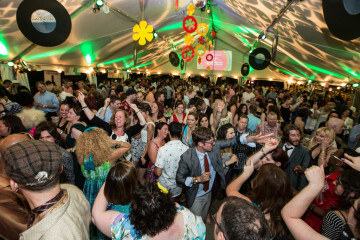 Kicking off the late-summer garden party will be Pittsburgh’s own DJ Strobe. Mark your calendar now because this is one after-party that won’t break the bank. 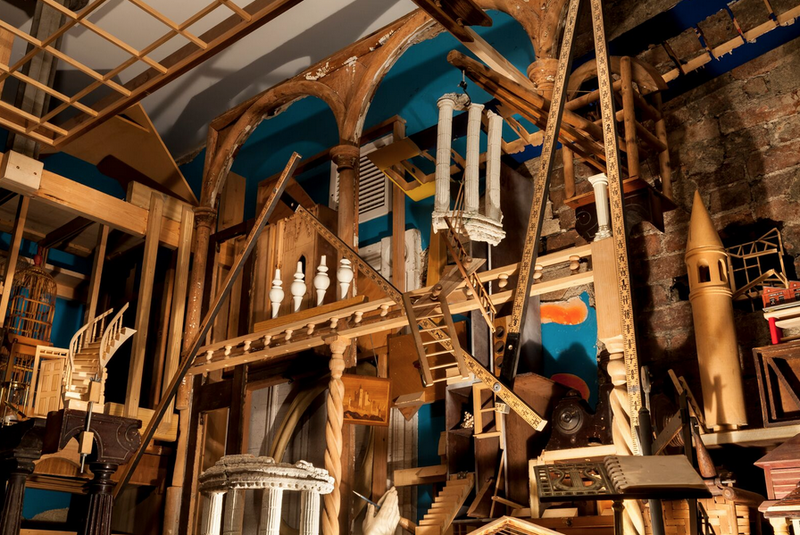 Admission is entirely donation-based—whether that means 50 cents or 50 bucks—and all proceeds will benefit the artistic and educational programming of the Mattress Factory. Dennis Maher, A Second Home. Courtesy of the Mattress Factory. NEXTpittsburgh is a media sponsor for the event, which is open to ages 18 and up. 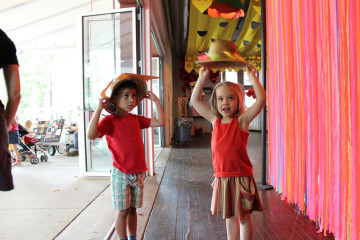 With programming taking place both indoors and outdoors, party-goers will enjoy behind-the-scenes exclusive access to the Mattress Factory’s latest art installations opening to the public on September 30. Thrival ’16 includes innovation programs on September 20-22 and live music on September 23-24. On the innovation side, three days of interdisciplinary, interactive programs, events, keynote lectures and guest speakers will cover topics spanning cutting-edge technology, education, city policy, music, art, and food. Exploring local, national and global innovation ecosystems, this year’s events are organized around three guiding themes: Lost and Found, AuthentiCity and The Ripple Effect. To register, go here. Read more about Thrival Innovation here and Music here in NEXTpittsburgh. Looking for more events? Read our 12 Pittsburgh events not to miss in September, Everything you need to know about Pittsburgh concerts in September and 10 great family adventures in Pittsburgh this September feature stories.